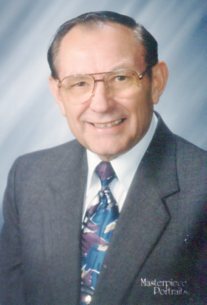 Funeral services for Willis A. Kucera will be 10:30 a.m., Monday, April 8, 2019 at First Presbyterian Church in Norfolk. Reverend Brian Johnson will officiate. Burial will be in Iowa Valley Cemetery. Visitation will be Sunday from 5:00 to 7:00 p.m. at Home for Funerals on Norfolk Avenue. Military Honors will be conducted by the Nebraska National Guard Honor Guard, American Legion Post 35, and VFW Post 5763. He passed away Tuesday, April 2, 2019 at St. Joseph’s Rehabilitation and Care Center in Norfolk. Willis August Kucera was born at the Lutheran Hospital in Norfolk on December 22, 1928 to August and Olga (Kuchar) Kucera. He was baptized into faith at Trinity Lutheran Church in Newman Grove. He graduated from Newman Grove High School in 1946 and attended The Omaha School of Commerce before returning to the family farm in Lindsay. In 1951, Mr. Kucera served in the U.S. Army in the 7th Armored Division at Camp Roberts in California then later returned to farming for an additional 16 years on the original family farm. In 1968, he and his mother moved to Madison, where Willis worked at the O’Shea Farmers Nation Bank (now Pinnacle). He also served on District 29 school board and worked at the ASC office for 20 years. While in Madison, he served on the park board and was a member of the Chamber of Commerce and the American Legion Post 35 for 33 years. Willis served as church organist at the Presbyterian Church in Madison for 15 years, was an Ordained Elder of the Presbyterian Church for many years, and served as treasurer. He was also a member of ZCBJ Lodge for more than 50 years. In 1995, after 28 years, Willis retired as Vice President and cashier of Pinnacle Bank. Willis moved to the Tampa, Florida area where he built and renovated homes until 2007. He then moved to Texas then back to Norfolk in 2015 where he resided at The Meadows. Willis loved to travel as he traveled many times to all the States except Alaska. He spent two weeks in Hawaii, and traveled with a friend from Kansas City to Europe for four weeks in 1960. He enjoyed lunch with Grace Kelly and Prince Rainer III at their Palace, in Monaco. While in Europe he saw part of the world’s fair, he toured Brussels, Belgium, Luxembourg, The Passion Play at Oberammergau, Germany, Austria, Switzerland, Rome, Italy and its many beautiful fountains, Paris, France, The Hague in the Netherlands, with the tour ending in London, England. He had traveled to all of the provinces in Canada. He also traveled to Mexico and went on a Caribbean Cruise. Throughout his travels, Willis never met a stranger. He loved to talk to anyone and cherished his family and friends. Willis is survived by many cousins and loving friends. Memorials requested to the American Cancer Society or a charity of the individual’s choice.